Meeting Craig Carlson in our local bookstore in Santa Barbara was an unexpected and delightful experience. This is such a cool guy, who writes with such style and humor that I could hardly put the book down. While bursting into laughter as I was reading a chapter over breakfast in a local seaside restaurant, two French women came to the table to find out where they could get such an entertaining book. For anyone who has worked in the entertainment industry in Hollywood or lived in the city of Los Angeles, Carlson's descriptions of familiar deli food along with his humorous descriptions of the people he was interacting with was simply priceless. I don't think I have laughed so much while reading a book since Patrick Dennis' "Auntie Mame"! I also spent some time with French nuns as a child, and totally got his understanding of how the French are, and loved his aggrivation with American's who just never took the trouble to get what the French are about. Traveling along with him on his journey to make his dream of an American Diner in Paris come true is facsinating and fun. Craig was the last person anyone would exoect to open an American diner in Paris he came from humble beginnings in a working-class town in Connecticut, had never worked in a resturant, and did not know anything about starting a new business. 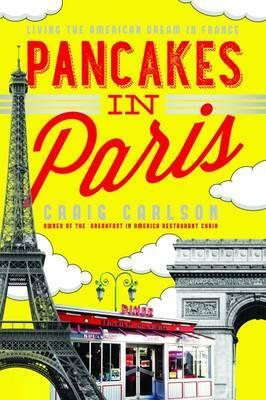 from his first visit to Paris , Craig knew he had found the city of his dreams. But one thing was still missing there - the good ole American breakfast he loved so much. His background was journalism; studied at UCLA. He won prestigious awards such as the John Huston Directing award at the Chicago International Film Festival, and produced screenplays, a book on Jean Renoir, but in 2003 decided to persue his dream for a restaurant in Paris, which has grown into three venues. For information or to guy the book please see - www.pancakesinparis.com. Concerts will be presented at Public Libraries in Santa Barbara, Ventura, Thousand Oaks, Ojai, Solvang and Santa Maria. All concerts begin at 12:00 noon and last approx. 45 minutes. 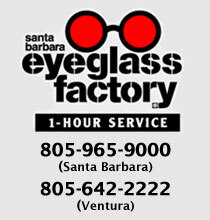 Santa Barbara: Wednesdays, October 26 and November 2. Concerts will resume during the months of February, March and May. For a complete listing of concert dates for the entire season, CLICK HERE. The concerts will feature a variety of music with piano accompaniment, and the October concerts will include selections from our upcoming production of Carmen. The concerts will be presented at Public Libraries in Santa Barbara, Ventura, Thousand Oaks, Ojai, Solvang and Santa Maria. All concerts begin at 12:00 noon and last approx. 45 minutes. Concerts will resume during February, March and May. For a complete listing of concert dates for the entire season, CLICK HERE.